[OSEN=Pyo Jae Min] A special event to celebrate actor Jang Keun Suk’s 30th birthday. ‘2016 Photo Exhibition to celebrate Jang Keun Suk’s birthday’ was held at One Art Gallery by Jang Keun Suk’s official fan club ‘Cri-J’ for two days from August 6th to August 7th. This photo exhibition continued for four years and there were people waited for several days before it opens and 900 people came on the first day, then 1,500 people attended for two days. Including the photos taken by the fans, the exhibition filled with various fan arts and so on. It contains every step of Jang Keun Suk for last one year. In particular, in the drama ‘Jackpot’ area, explanation for ‘tujeon’ and event to try shooting bow were prepared and made the exhibition more interesting. In addition, there is ‘donation’ area prepared separately and people were able to look back Jang Keun Suk and the fans’ good deeds. 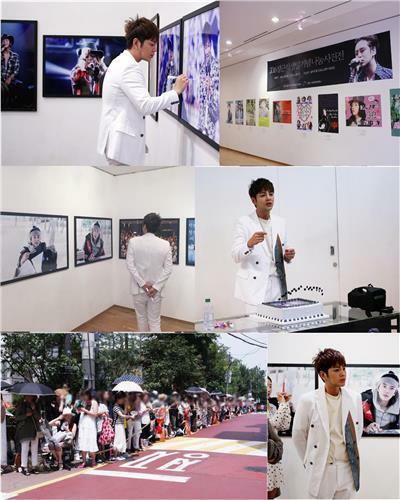 Jang Keun Suk also attended the photo exhibition and made the event more meaningful. He autographed while looking into each photo taken by the fans carefully and applauded for the list of fans participated in volunteer work. He showed his overwhelmed heart. He had a simple birthday party with the fans and said, “It was a significant time to look back past one year and memories. It was more meaningful since it was an exhibition planned with the fans and I think I had valuable day here” and he added, “I feel grateful for the fans’ efforts and warm hearts who led for good deeds and participated in volunteer work from the place where I wasn’t attending. I hope to see all of you again here next year”. Moreover, although this day was a day with record-breaking heat, the fans gathered to celebrate together enjoyed exhibition in good order and showed matured fan culture. In addition, total of 50 million won gathered from donation collected from various countries and entrance fee is planned to be used for unfortunate neighbors.